Our product range includes a wide range of donor couch, plasma extractor, platelet incubator, platelet agitator and plasma freezer. 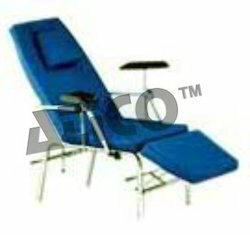 The Mobile Blood donor chair frame made of stainless steel construction of heavy gauge pipe with seat of high class washable fabric and high density foam inside the seat, provided with arm support adjustable with knob at the side, head rest provided with the chair, fully and semi reclining position of the chair as per the desire of the user, arm support padded with cushioned material, seat surface divided in two or three parts suitable for the weight up to 120 kegs. 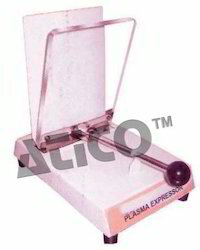 Plasma Extractor is designed to Extract Blood component from centrifuged bags. The spring loaded front panel applies pressure on the collected bag causing the liquid to contain in transfer bag. Its sturdy construction makes it durable and reliable, easy to sue and portable. The unit is available in both versions automatic and manual. 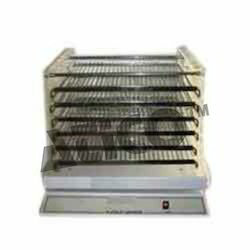 Plated Incubator provides an ideal strong environment for the Platelets. This unit designed to maintain a stable and inform temperature of 22.0°, the user friendly includes an acrylic inner door, and see through outer door, simple calibration is possible via the control panel. This, coupled with a visual and audible alarm system, enureses that your samples are both safe and secure, but also easy to access when you need them. Display of set and process value. CFC Free PUF (Poly Urethane Foam) Insulation to ensure temperature stability and save power consumption. Platelet agitator specially designed to maintain, Platelets in continues motion at a fixed speed of 70 RPM. Maximum 36 standard Platelet bags can be accommodate at a time. 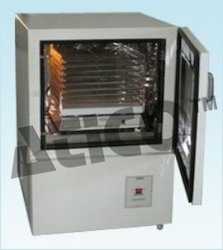 Plasma Freezers are designed for quick freezing and storing of plasma and related blood components at desired low temperature as low as -80°C . The system includes controller with digital temperature display, Temperature recorder, ON /OFF switch, Temperature alarm system with adjustable high / low alarm limits, includes audio visual alarm on temperature deviation. Looking for Blood Bank Equipment ? Refrigerated Centrifuge Machine Medium Speed-7000 R.P.M.